The University of Nottingham has been ranked in 19th place in The Guardian University Guide for 2018. The table published today (May 16th 2017) is a move of six places up. It is the third league table in the last year to position Nottingham in the top 20 of all universities. The Guardian league tables focus on the quality of teaching, student satisfaction and employability, issues that are vital to young people choosing where to study. 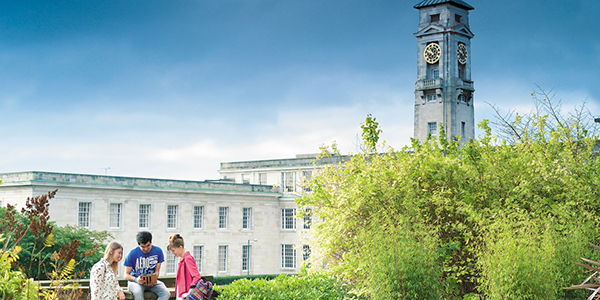 Dr Paul Greatrix, Registrar at the University of Nottingham, said: “Nottingham has long been recognised as one of the world’s top universities for the quality and breadth of our teaching and research. “This, along with the investment we have made in our careers and recruitment service and our student services, provides a strong all round offering for students. Our NSS scores are testament to the quality of our staff and the consistent approach we take to teaching and learning. The guide ranks universities according to: spending per student; the student/staff ratio; graduate career prospects; what grades applicants need to get a place; a value-added score that compares students’ entry qualifications with their final degree results; and how satisfied final-year students are with their courses, based on results from the annual National Student Survey (NSS). Earlier this year Nottingham was ranked 18th place in The Complete University Guide 2018 and 20th position according to The Times and The Sunday Times Good University Guide 2017. The University was also named best in the UK for graduate employment according to The Times and The Sunday Times Good University Guide.